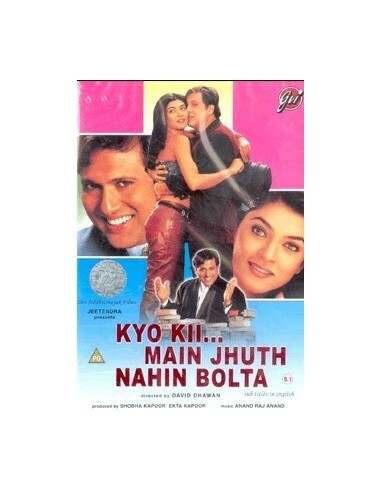 Coming from small-town Hoshiarpur to big city Bombay, conman and compulsive liar, Raj Malhotra (Govinda), a lawyer by profession, sets up shop with fellow lawyer, Mohan (Satish Kaushik) under an umbrella in the compound of the Bombay High Court. He comes to know of wealthy lawyer Tejpal (Anupam Kher) and his daughter, Sonam (Sushmita Sen). He devises a scheme to marry into this wealthy family, and he succeeds. Years later, he has now a son, who wishes that his dad would stop lying; and a mistress, Tara (Rambha). The son's wish comes true, and all utterances from Raj's mouth are truthful. This creates a crisis in his personal life, as his confesses about his mistress; as well as his professional life, when he starts telling the truth in court, especially with his underworld clients, who are now out to kill him.